Design Master HVAC automatically inserts duct fittings when drawing the double-line ductwork. Fittings are selected automatically according to preferences you define ahead of time. 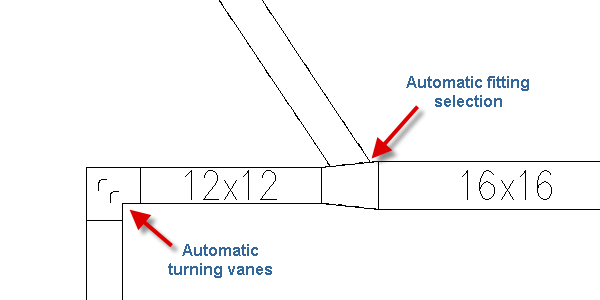 Mitered corners give you the option to include or not include turning vanes. Automatic fittings can be changed when necessary. 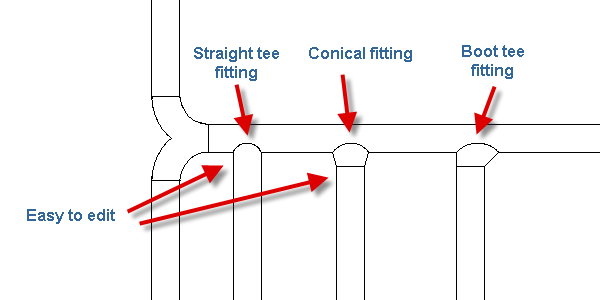 In this example, the default boot tee was replaced with a conical tee and a straight tee.